(SPRINGFIELD, OH) – The development of a secure, online repository where farmers can store, manage and control the information generated on their farms took a major step forward as the Agricultural Data Coalition (ADC) initiated its pilot to demonstrate how a neutral repository of data would work to connect data among growers, service providers, and machines. (INDIANAPOLIS) – The Agricultural Data Coalition (ADC) today announced its second new member this month, welcoming Ice Miller LLP as a founding member. Ice Miller, a law firm with offices throughout the Midwest, boasts a large agricultural practice that represents equipment dealers, ag lenders, farmer-owned cooperatives, input providers, grain processors and more. In addition, the firm’s data security and privacy practice has extensive legal and real-world technological experience in dealing with cybersecurity issues and protecting user-data – a tenet of the ADC’s mission. Another Indiana organization, Purdue University, joined the ADC just prior to Ice Miller, adding to the diverse perspectives and vision of Founding Members. Officially launched in March at the Commodity Classic, the ADC is currently building a secure data storage repository that will enable farmers to easily control, manage and maximize the value of the information collected on their farms. 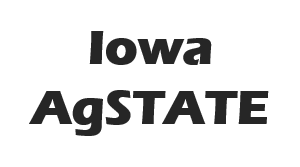 (WEST LAFAYETTE, IN) – Purdue University announced today that it has joined the Agricultural Data Coalition (ADC), a group recently formed to build a national repository where farmers can safely store and manage their farm’s production information. Farmers collect valuable statistics every time they pass through their fields, and that data will be key to fueling future innovation and helping growers drive efficiency on their own farms. But its full potential has not been realized because of hurdles to housing and transmitting information in a uniform and usable way.